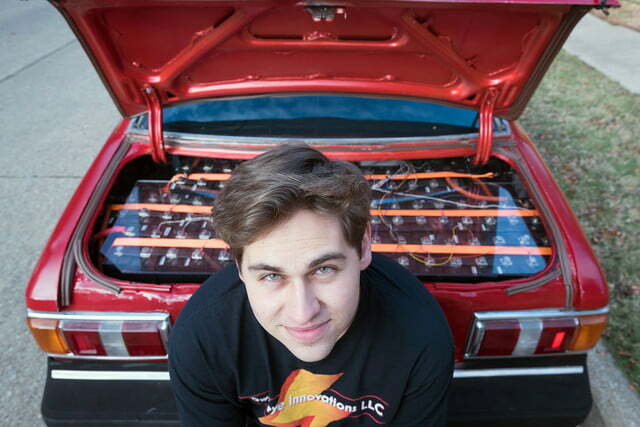 Now 18 and recently graduated from Plano East High School in Texas, Lansing has a fully functional electric vehicle with a 130-mile range. He didn’t have to do everything alone, acquiring sponsorships from Core IV and Plasma Boy Racing. 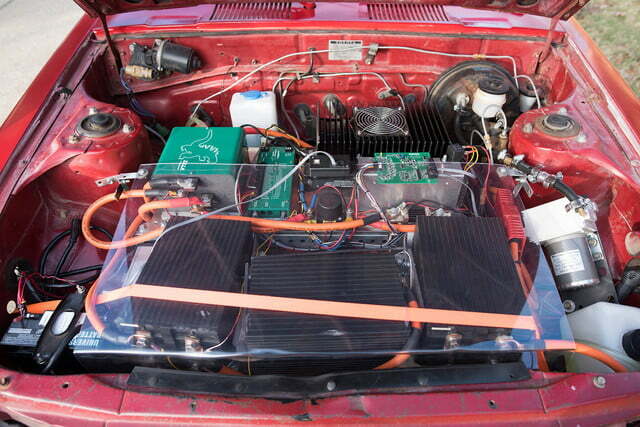 They supplied the 30-kilowatt-hour lithium iron phosphate battery pack that currently powers the Celica. It’s mounted in the trunk. Plasma Boy Racing founder John Wayland was one of the original inspirations for the project. 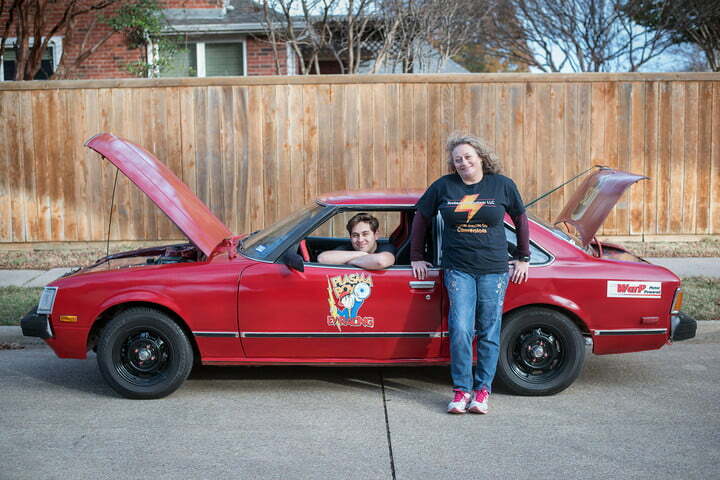 While researching electric cars, Lansing found YouTube videos of the “White Zombie,” a 1972 Datsun 1200 Wayland converted to electric power for drag racing. 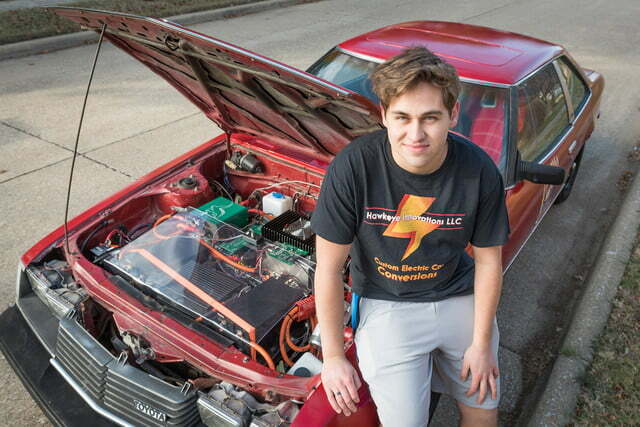 The little Datsun showed Lansing that electric cars can be fast as well as frugal. Lansing has started his own company, Hawkeye Innovations LLC, and hopes to make a living doing to gasoline-to-electric conversions. That’s becoming a burgeoning business, with companies like Genovation and Kreisel Electric converting familiar sports cars into high-performance electric cars. After all, who said new electric cars can only come from Detroit or Silicon Valley?